U.S. President Donald Trump suggested that Russia be allowed back into the global group despite their continued occupation of Crimea. 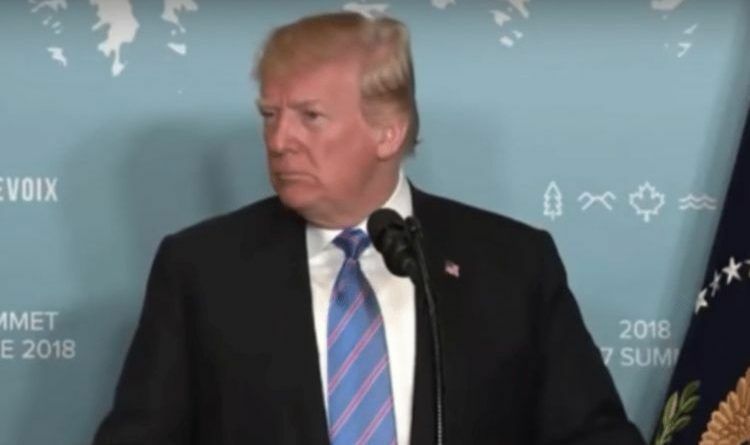 “I would say that the G8 is a more meaningful group than the G7, absolutely,” Trump said during an impromptu press conference at the summit. He also blamed former U.S. President Barack Obama for Russia’s move into that nation. Later, Trump was pressed on whether he recognizes Crimea as a part of Russia, which none of the G7 states currently do. “Crimea was let go during the Obama administration. He allowed Russia to take Crimea. I might have had a different attitude. But you have to ask that question to President Obama,” Trump said. Depicting the issue as a question of the past, Trump also noted that Moscow “has spent a lot of money” on the region in the past four years. ← Federal Prosecutors Just Caught The Leaker – He Lied To The FBI! Doctor Asks if You Have a Gun at Home? Here’s What to Say!